Several wars and natural disasters have destroyed, sometimes wiped out, the architectural and artistic feats of the peoples of all times. The memory is still painful of all the edifices and works of art being heavily shelled in Italy and all over Europe during the Second World War. But never before like in recent times have we seen the systematic endeavour to annul one’s enemies by destroying their culture, their heritage, their remotest and deepest vestiges – in sum, what shapes the identity and the mind of people – in an attempt to carry out what Irina Bokova, Director-General of UNESCO, defines a “cultural cleansing”, the mirror of the worst ethnic cleansing. We still hold the vivid memory of the ferocious iconoclasm perpetrated in Palmyra; we still feel stricken and outraged by the horrible murder of Khaled al-Asaad, General Director of Antiquities of Palmyra, who was brutally beheaded on 18th August 2015 after he refused to leave the city and cooperate with the terrorists. Opening on 2nd July as the first exhibition in Europe devoted to Palmyra after its recent devastation, Portraits of Palmyra in Aquileia marks another step forward, and a deeply symbolic one, in the path of “Wounded Archaeology”, the project Fondazione Aquileia started in 2015 with an exhibition of artefacts from the Bardo Museum of Tunis. The project is aimed at covering what has been happening for several years in the countries viciously ravaged by fundamentalist terror and at showing the works of art from these sites to the general public. Curated by Marta Novello and Cristiano Tiussi, organized by Fondazione Aquileia in collaboration with the Polo Museale del Friuli Venezia Giulia and the National Archaeological Museum of Aquileia with the exhibits borrowed from the Terra Sancta Museum of Jerusalem, the Vatican Museums, the Capitoline Museums, the Museum of Civilizations-Oriental Art Collections “Giuseppe Tucci”, the Museum of Ancient Sculpture “Giovanni Barracco”, the Civic Archaeological Museum of Milan and a private collector, this new exhibition includes sixteen exhibits from Palmyra (some of which reunited for the first time after being dispersed in Western collections) and eight artefacts from Aquileia. The intention is to show that, while distant in space and style, the two cities share a common cultural background and similar iconographic references. The exhibition has been organized under the auspices of the Italian National Commission for UNESCO, the Italian Ministry of the Cultural Heritage and Activities and Tourism and the Italian Ministry of Foreign Affairs and International Cooperation, as well as thanks to the sponsorship of Gruppo Danieli, Friulana Gas, Cassa Rurale Fvg, and Confindustria Udine. “Both Palmyra and Aquileia – recalled Antonio Zanardi Landi and Cristiano Tiussi, the President and the Director of Fondazione Aquileia, respectively – were places of tolerance and fruitful cohabitation between different cultures and religions. They were also witness to the fact that eighteen centuries ago the Mediterranean Sea used to be an integrated unity, not only for trade but also for the circulation of ideas, as well as of literary and artistic styles.” This common background resounds in Venice too, as highlighted by Debora Serracchiani, the President of the Autonomous Region Friuli Venezia Giulia, who wrote in the foreword of the exhibition catalogue: “Palmyra thrived on trade, selling to the Romans the luxury goods bought from the Persians, India and Arabia. Incense, myrrh, pepper, ivory, pearls and textiles from India or China were swapped with wheat, wine, oil and garum. This trade with the world conferred a very peculiar open and cosmopolitan mind to the dwellers of this Aramaic oasis, exactly the same way as trade would shape the character of Venice several centuries later”. Palmyra was a caravan city with a mystic allure, alternatively defined at different epochs the “city of palm trees”, “bride of the desert”, “Venice of the sands”, whose destiny was shaped by its location across the border between the East and the West. Pliny the Elder in his Naturalis Historia had soon remarked this peculiarity: «Palmyra is a city famous for its situation, for the riches of its soil and its agreeable springs; its fields are surrounded on every side by a vast circuit of sand; and it is as it were isolated by Nature from the world, having a destiny of its own between the two mighty empires of Rome and Parthia, and at the first moment of a quarrel between them always attracting attention from both sides…». Because Aquileia resembles Palmyra in this respect, the aim of the exhibition is also to highlight, as explained by the Director of the National Archaeological Museum of Aquileia Marta Novello and the Director of the Polo Museale del Friuli Venezia Giulia Luca Caburlotto, “the cultural unity that was the most peculiar trait of the Roman world, originated from the contamination of heterogeneous models resulting in different formal expressions.” Aquileia was a city of trade and a border city too. It served as a gate into the East for the Roman Empire, as well as a gate from the East. In fact, all the oriental contaminations of ideas, artistic styles and sensitivity that influenced so deeply the Roman Empire actually reached Rome through Aquileia. If the great and feared neighbour of Palmyra was Persia, the great neighbours of Aquileia were the Barbaric populations. Proof of the frequent and vital relations between the two cities, a solid Palmyrene community thrived in ancient Rome, as shown in the relief with Palmyrene inscription borrowed from the Capitoline Museums. The character of Palmyra as a lively hub of ideas, ambitions, customs and traditions, shapes and styles drawn from local, oriental, Greek and Roman cultures has shaped the image its inhabitants wished to give and leave of themselves in their funerary monuments. Among the most significant artefacts of Palmyrene art, the funerary reliefs have played a major role in the diffusion of the fame of the city worldwide. Thanks to these original finds, the dwellers of ancient Palmyra, “with their faces, outfits and jewels”, with the words of the famous French archaeologist Paul Veyne, have now become “citizens of the world”. This exhibition is intended to make the contemporary world become acquainted with the ancient citizens of the world, by identifying their tasks and roles. An example of this strong characterization is a refined head borrowed from the Vatican Museums, where the role of the priest is indicated by the flat-topped cylindrical headdress (modius), typical of the priests of Bel. Another exhibit is a head from the Custody of the Holy Land, decorated with a wreath of laurel leaves and berries held together by a medallion. The rooms of the National Archaeological Museum of Aquileia, reorganized ad hoc for the exhibition, will also be a showcase for traders and public servants, easily recognized thanks to a slip of parchment they hold in their left hand, like in the relief of Salamallat coming from Jerusalem or in the relief of Makkai lent by a private collector. Not to mention the celebrated women of Palmyra – and above all the enlightened queen Zenobia, who dared defy the authority of Rome and march on the capital of the Empire – beautifully represented in the exhibition by the portraits of four ladies in their elegant attires and sophisticated hairstyles. Like Charles Baudelaire, who magnified the jewels of Palmyra in his “Flowers of Evil”, the visitors will surely be dazed by the rich original ornaments of the Palmyrene women, who used to wear several bracelets, brooches and diadems at a time, as well as rings on all finger segments, like in the beautiful relief from the Barracco Museum, where the jewel is worn on the second phalanx of the left little finger. Another odd detail in the same relief is a bell-shaped pendant hooked up to a twisted bracelet, a very popular amulet in all Roman Syria. Full evidence of the fact that Palmyra was a melting pot of different civilizations comes from the outfit of the Palmyrene citizens portrayed in the marvellous slab lent by the Tucci Museum, where the woman wears a Greek chiton (tunic) and himation (cloak), her hair styled with a turban and veil held in place by a precious diadem, whose beautiful original colours are still visible, while the boy portrayed above her wears Parthian clothes, with a knee-length tunic with colourful galloons, its rim tapered to the sides, and baggy pants. In spite of their markedly oriental features and their stiff front position, Palmyrene reliefs share the same forms and ways the people from all over the Roman Empire used to depict themselves in death. A careful observer will therefore note the different styles, the similar traditions and the poor physiognomic characterization of the portraits: the people from Aquileia look modest, almost reserved as compared to the citizens of Palmyra, who look self-confident and self-satisfied, although the impression may result from the typical compact impenetrable style of the provincial art, especially of oriental art. The exhibition’s visitors will be able to admire the unmistakable style of Palmyrene craftsmen, who were able to cut out tiny decorative details from the matter, and add graphic quality to them, with a soft and yet extremely efficient touch. Portraits of Palmyra in Aquileia will be matched by the photography exhibition Insights into Palmyra – pictures by Elio Ciol taken on 29th March 1996” in the new archaeological site of the Domus and Bishop’s Palace, consisting of twenty beautiful unpublished pictures taken by the Master before the recent destructions. The main square – Piazza Capitolo – will also house the sculpture “Zenobia’s memories” by the contemporary Syrian artist Elias Naman, a generous loan by Gruppo Danieli. The statue’s look is meant to recall the dramatic present times. Other related events include lectures by professor Daniele Morandi Bonacossi, teacher of Archaeology of the Near East at the University of Udine and the head of archaeological missions to Palmyra and Nineveh, Iraq (MAN, 2nd July at 17.30); by professor Paolo Matthiae, a distinguished archaeologist and author of the excavations of Ebla, Syria (26th July); by Brigadier-General Fabrizio Parrulli, Head of the Italian Carabinieri Command for the Protection of Cultural Heritage, who will speak about the illegal trade of antiquities, a well-known means of financing for terrorism (to be scheduled in September). 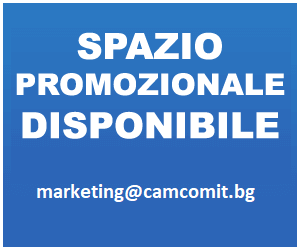 Moreover, the programme of Aquileia Film Festival will include, on 26th July, the shooting of the short “Quel giorno a Palmira” by Alberto Castellani, featuring an interview with Khaled al-Asaad, and, later in the summer, the Italian première of “Destruction of Memory” by Tim Slade. This calendar of events around the exhibition is meant to recall what archaeologist Daniele Morandi Bonacossi writes in the foreword of the exhibition catalogue (in Italian and English, published by Gangemi editore): “Never before, not even in the darkest times of last century’s world wars, had the world cultural heritage been so systematically and intentionally ravaged as it is in Syria and Iraq today. More than six years after the onset of warfare in Syria (…) a remarkable portion of the extraordinary cultural heritage of these countries is still under the control of the Islamic forces, who are deliberately using the destruction of monuments and archaeological sites as a political tool in their struggle for power”. As remarked by the President of Fondazione Aquileia, Zanardi Landi, their destruction “has deleted a remarkable portion of the World Heritage and has impaired not only the cultural, religious, ideological and artistic heritage of the Syrians, Iraqis, Egyptians, Tunisians, but also ours, causing very bad and irreparable damage to our being Italians and Europeans”. Location: Domus and Bishop’s Palace, Piazza Capitolo, Aquileia. 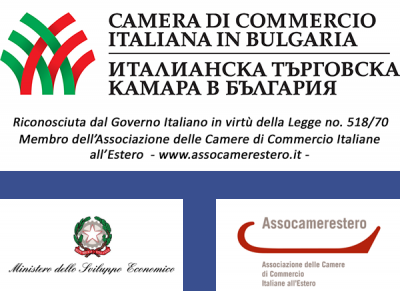 On Friday, 22 January 2016, the President of the Italian Chamber of Commerce in Bulgaria, Mr Marco Montecchi, has joined the initiative promoted by the Bulgarian-Swiss Chamber of Commerce, regarding signing and supporting an open letter presented to Bulgarian Government, which discusses the urgent need for judicial reform, necessary to encourage foreign investment in the country and to ensure improvement in terms of employment and economic growth. The document, signed by ten bilateral Chambers of Commerce operating in Bulgaria, was officially presented, a few hours ago, to the Prime Minister of the Republic of Bulgaria, Mr Boyko Borissov, and a copy was forwarded to: the President of the Republic of Bulgaria, Mr Rossen Plevneliev; the Deputy Prime Minister and Minister of Interior Affairs, Mrs Rumiana Bachvarova; the Deputy Prime Minister and Minister for European Policies Coordination and Institutional Affairs, Mrs Meglena Kuneva; Deputy Prime Minister and Minister for EU Funds and Economic Policy, Mr Tomislav Donchev, the Deputy Prime Minister and Minister of Labour and Social Policy, Mr Ivaylo Kalfin; the Minister of Justice, Mrs Ekaterina Zaharieva, and the President of the National Assembly, Mrs Tsetska Tsacheva. 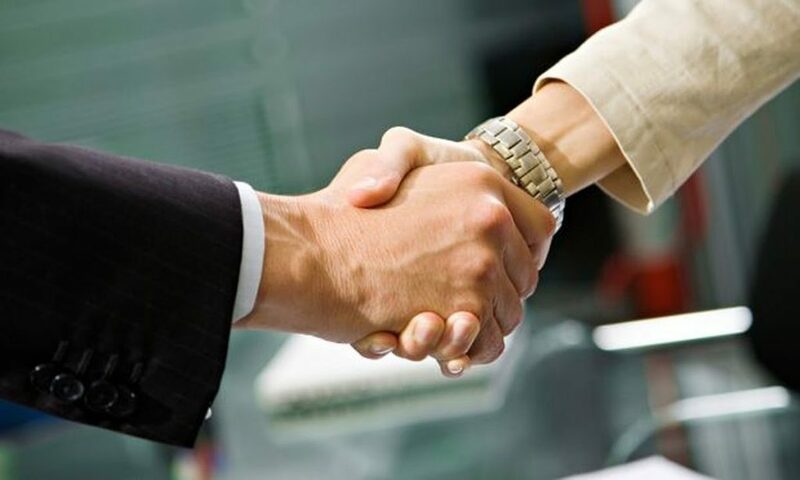 “The lack of reforms causes instability and tracks slowdowns in terms of investment in the country, causing also reserves in the new investors who would like to penetrate the Bulgarian market. The investments are a key factor for the development of Bulgaria, as well as reforms, especially in the areas of healthcare, education, infrastructure and environment. Only a reformed judicial system could ensure a continued increase in existing investments and generate new, leading to creation of new job places and more opportunities in terms of employment and creating conditions for a social improvement and finding a solution for critical demographic issues that the country is currently experiencing“.